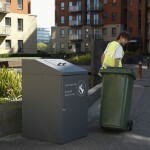 Improves the aesthetics of a two-wheeled container whilst retaining all of the functional benefits. 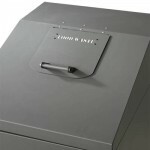 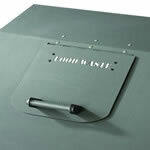 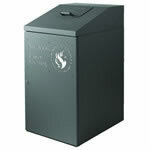 Protects the container, controls access and keeps the container secure. 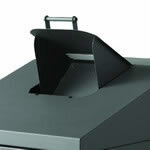 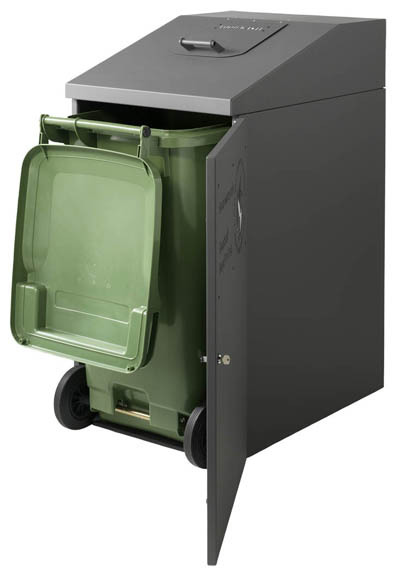 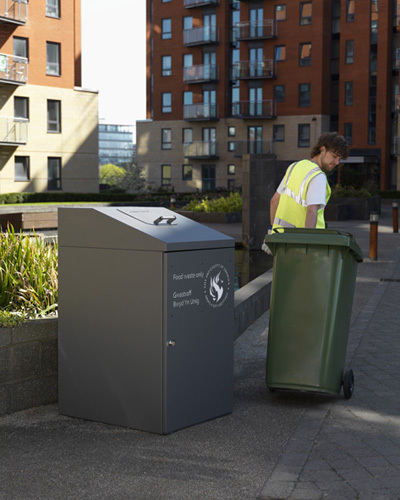 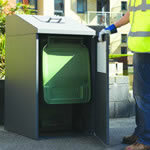 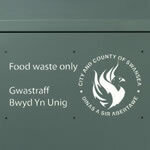 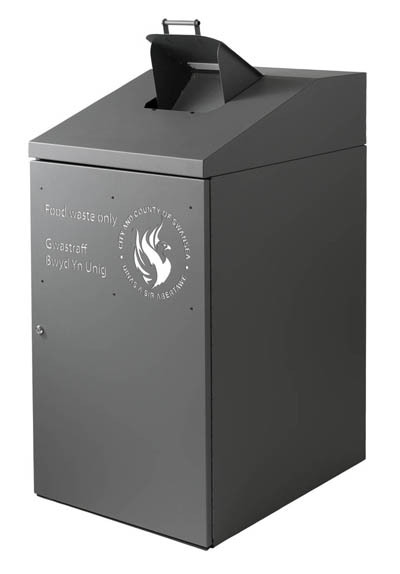 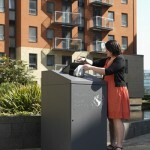 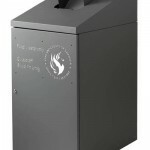 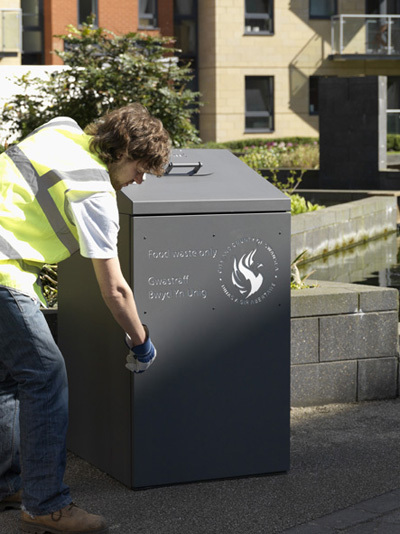 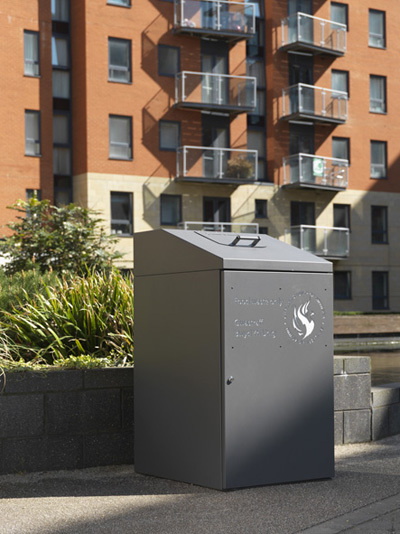 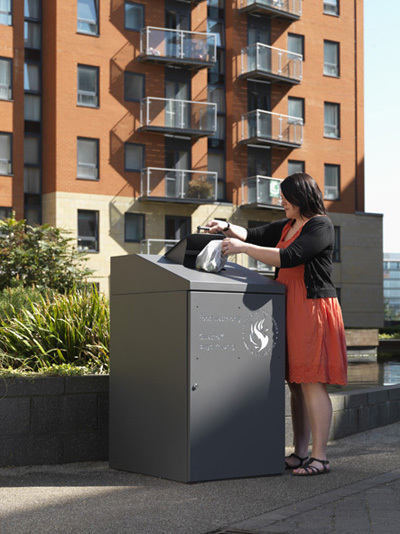 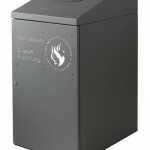 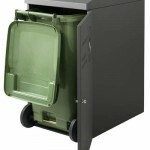 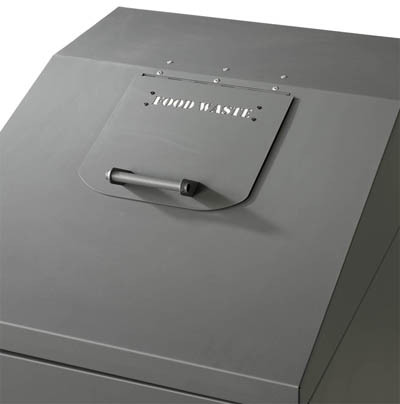 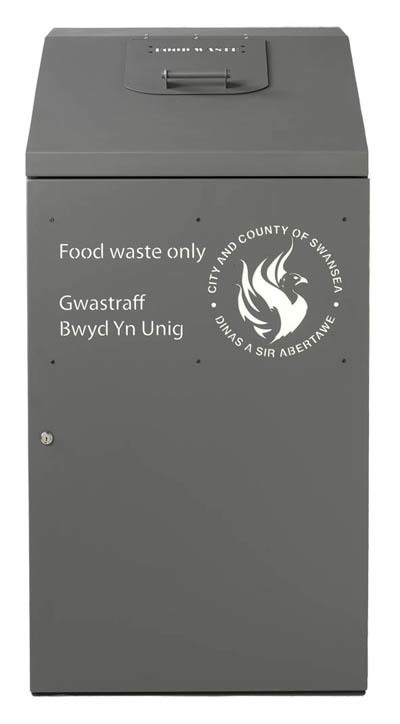 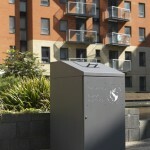 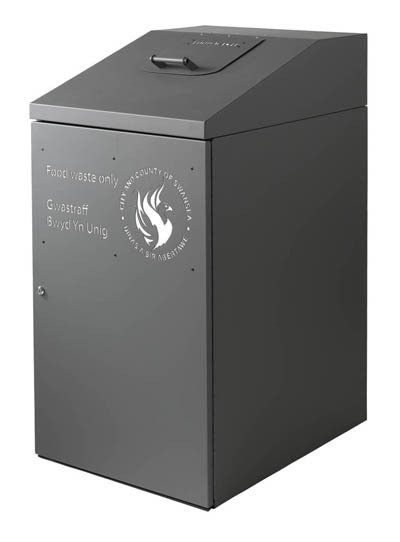 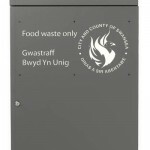 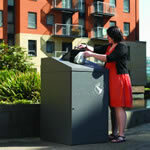 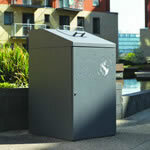 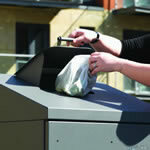 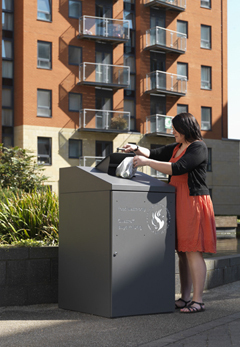 Perfectly suited to food waste collections at communal recycling points.